Help your kitchen to the latest in faucet design with these step-by-step instructions. The installation steps are very straightforward, but you may get stuck while taking off the old faucet or maneuvering yourself under the sink. A stiff-necked kitchen faucet with a little swivel head clutters the back of your sink, what with the spigot, the hot and cold handles, and that squat black spray hose (which, let's face it, always leaks). The current trend in faucets is a single, sleek arm protruding from the sink rim—hose, faucet, spray, and hot and cold controls all in one place. One hand, all functions. Pull-down (and pull-out) faucets have a retractable spray hose hidden inside the traditional fixed spigot. Great for filling pots, cleaning dishes, and giving a head of lettuce a thorough rinse, they're another brilliantly conceived and mighty cool-looking convenience in the world of kitchen expediency. Even better: Like most faucets, they're a snap to install. Just the twist of a few fittings and you've brought your kitchen one step closer to the modern world. Too often, plumbing projects scare homeowners. All those flames and molten solder—it's enough to make you put the plumber on speed dial. But you can hang up the phone. The faucet part of plumbing, at least, is a different story. These days, the most oft-replaced plumbing fixture hooks up with a pair of simple compression fittings—threaded nuts that fit onto the hot-and cold-water supply valves and tighten without a need for soldering, pipe dope, or even Teflon tape. "It's a really homeowner-friendly system," says Richard Trethewey, This Old House plumbing and heating expert. On some faucets, flexible braided water-supply hoses take the place of rigid tubing, making the installation even easier. Many, however, still come with rigid copper or chrome supply lines. These have a traditional threaded fitting on the end and are designed to be attached to lengths of braided line with compression fittings, which you will have to buy separately. Then there are the European products that come with no connectors at all. In that case, you have the choice of adding a compression fitting to the rigid tubing and attaching it directly to the valves, or using a compression coupler that allows you to attach a braided line. Most pull-down faucets have a single control for hot and cold attached right to the spout, so they only need one hole cut through the rim or counter at the back of the sink. But if you're replacing a fixture with two separate handles for hot and cold, you'll discover that you're left with three holes behind your sink—or four if you also have a separate spray hose. In that case, you'll need to mask the holes with escutcheon plates—an oblong one for under the faucet and a small round one for the old spray head. Or, if you have too many leftover holes but don't like the look of an escutcheon, this would be a good time to consider replacing the sink itself. Turn off the hot-and cold-water valves under the sink; note which is which for attaching of the new fixture later. Test the faucet. If the water still comes on, the valves aren't working and you will need to shut off the water at the next valve down the line or at the water main. 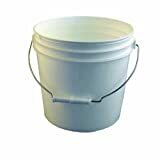 With a small bucket or towel ready to catch any water remaining in the supply lines, use an adjustable wrench to loosen the nuts connecting them to the valves. With a basin wrench, reach up to the underside of the counter and loosen the nuts holding the faucet (and hot and cold handles, if necessary) to the top of the sink. Remove the old faucet. After loosening the hex-nut that connects the water-supply line to the shut-off valve, gently pull up on the supply line to separate it from the valve. In some cases, you may need to bend the line slightly to free it from the valve. Be careful not to exert too much downward pressure on the valve or you might crimp the copper pipe coming from the wall. Screw the hose line to the spray head and thread the hose through the spout. If it isn't already attached, mount the temperature control handle to the faucet, using the setscrew and tool provided with the kit. Slide the black rubber-sealing ring over the hoses and supply line and onto the faucet stem. This is also when you would put on the escutcheon plate if you need one. Thread all the hoses through the center hole in the sink rim. If your sink or counter surface is uneven, you may need some plumber's putty (available at hardware stores) under the faucet to seal it. From underneath the sink, slide the triangular plastic washer, then the fiber washer, metal washer, and finally the circular nut over the hoses. Push the nut assembly up to the underside of the counter. Screw the circular nut onto the large threads of the faucet stem. Use the basin wrench to tighten it. Then clamp the nut to the triangular plastic washer with the screws provided. Tip: Have a helper hold the faucet in the correct position on top of the sink while you fasten it in place underneath. If your faucet has rigid tubing, connect braided lines to its hot-and cold-water supply lines (the cold-water line will usually be marked with blue and the hot with red). Then attach the supply lines to their respective valves. If you can't tell which supply line or which valve is hot or cold, you may have some trial and error. Loop the loose end of the spray hose up and connect it to the third line coming from the faucet. 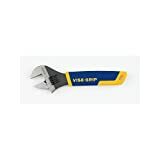 Then, use an adjustable wrench—or any smooth-jawed wrench—to tighten the compression nuts connecting the supply line to the shut-off valve. When tightening the compression nut on the supply line, stop turning just when it begins to draw tight. Then, place a second wrench on the small nut located just above the compression nut, and give the compression nut one last quarter turn. This two-wrench approach will keep the supply hose from turning and twisting as you tighten the compression nut. Tip: Never use Teflon tape, Teflon paste, or other chemicals on compression threads, as they can lubricate the fitting and cause a leak. Pull-out faucets have a weight in the middle of the hose that not only limits how far you can extend the hose but also helps it retract back into the spout. Measure 15 inches down from the underside of the faucet on the spray hose. Fit the two parts of the weight around the hose at this point and screw it together. Pull the faucet out of the spout to test the distance and the retracting action. Move the weight if necessary. Be careful not to put it so far down on the hose that it rests on the floor of the cabinet, or the spray head won't retract all the way. Unscrew the aerator at the tip of the faucet spray head. Turn on the faucet to let water flush through the pipes and the spout. Replace the aerator. Tip: In any faucet installation, always finish by taking off the aerator and flushing out the pipes. This prevents any debris created by the installation from getting caught in the mesh filter, which can lower the faucet's water pressure. This pro-style faucet with an extra-large arching spout, 2½ feet of hose, and a spray head designed for the full-fist grab is equally good at filling large pots or washing the family dog. ProMaster, from Kohler, $1,172. in with the spout when retracted, making this slim faucet a must-have for a Modern-style kitchen. C. FAST GRAB A saucer-shaped pull-down spout can be maneuvered with just two fingers. Culinaire, from American Standard, $455. D. FLORAL ARRANGEMENT A tulip-shaped head and teapot-spout handle give this simple chrome pull-down faucet some added interest. Floriano, from Brizo, $424. Modern convenience doesn't preclude traditional design, as on this Victorian-style faucet with a wand-style pull-out spray. Victorian faucet in polished nickel, from Harrington Brass, $965. F. TREND SETTERS Finishes in oiled bronze or copper color hew to the latest trends in kitchen design. Bronze: Country Pull-Out Kitchen Faucet, from Rohl, $596. Copper: Colonnade, from Moen, $272. Usually comes with everything necessary for installation, except braided supply lines. Needed to connect faucets that have rigid tubing. if necessary, to cover holes in the sink rim or the countertop when replacing a three-hole faucet.